Diana is desperate to prove herself to her warrior sisters but when the opportunity comes, she throws away her chance and instead breaks Amazon law to save one mortal, Alia Keralis. With this single act Diana not only puts her home, Themyscira, in danger but the entire world. Alia is a Warbringer – a descendent of the infamous Helen of Troy, fated to bring about an age of conflict and pain. Diana and Alia will face enemies, mortal and divine, determined to either destroy or possess the Warbringer. The only way they can save the world is to stand together. I had some trouble getting into Wonder Woman: Warbringer to start with. 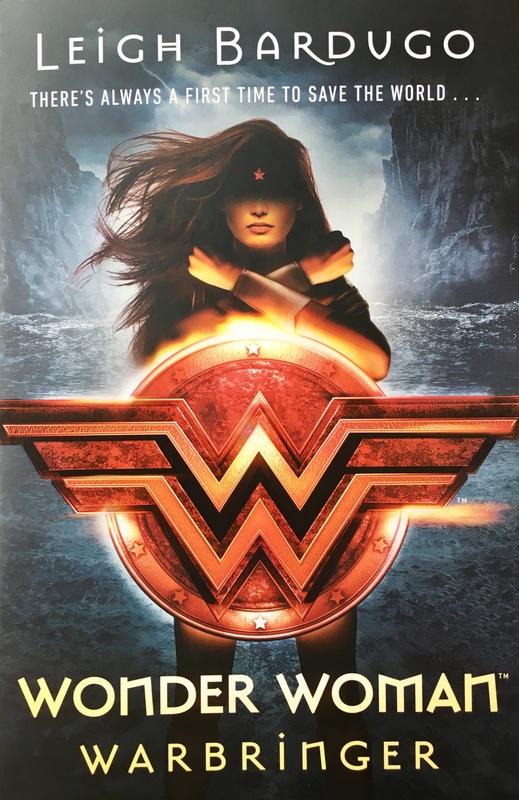 I think it was because I had both the film and the various comics featuring Wonder Woman I’ve read in my mind at first, where Diana was an adult and more respected and experienced with her abilities compared to the seventeen-year-old Diana featured in this book. But after 50 pages or so I got used to it and found myself falling in love with this Diana and her story. It may sound a little cheesy but this book is about the power of friendship and girls sticking by one another. The friendship Diana and Alia forge in the face of such differences and with pretty much everything else against them is admirable. Also, Alia’s best friend Nim is great, she’s opinionated and doesn’t really have a filter but she’s so incredibly loyal. It’s the interactions between Diana, Alia, Nim, Alia’s brother Jason and their friend Theo that really makes this story. Through banter between them all you get to see what connections are already there and how they grow and adapt when Diana comes into the picture. Wonder Woman: Warbringer is a great blend of action, drama and humour with a sprinkling of Greek mythology. While there are some fantastical elements, it always feels grounded. It’s an intriguing mystery that ends up with a thrilling finale that I couldn’t put down – I ended up reading it in just two days! In the end, Wonder Woman: Warbringer gave me the same feeling as the recent Wonder Woman film did. It’s all about finding your inner strength and believing in the best in people and what they could potentially achieve. It’s a fast-paced adventure that I feel is perfect for both new and old fans of Diana. 4/5. I’m looking forward to seeing what everyone thinks of Wonder Woman: Warbringer. The only other book I’ve read by Leigh Bardugo is Six of Crows but I definitely enjoy her writing style.